The revolutionary Palit JetStream series of graphics cards features advanced innovative cooling and an optimized product design to deliver the ultimate gaming performance. 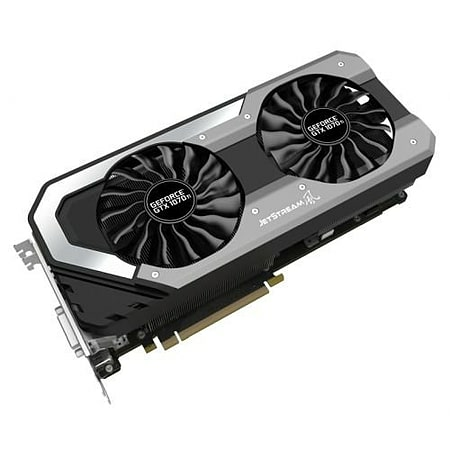 As the latest and the next generation NVIDIA Pascal architecture features power efficiency, gaming experiences and latest gaming technologies, the Palit GeForce®GTX 1070 Ti JetStream series guarantee gamers cutting-edge performance and a explosive new gaming experience. Unique 8-Phase PWM design reduces max current load for each phase to stabilize the voltage level and improve overclocking ability. It also provides another 30% current capacity.